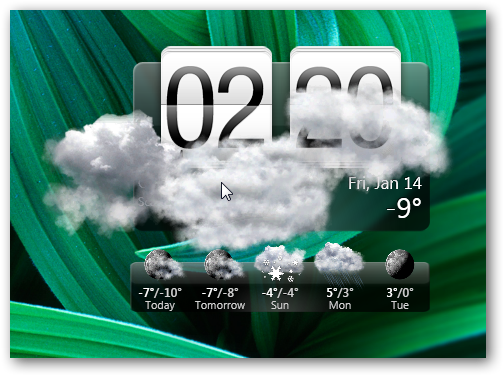 Almost every user now knows about HTC Home, an excellent free animated weather gadget for Windows 7. Those who have missed it or having difficulty to find out how to use it or from where to download it, this guide is intended for them. ” HTC Home 2 is first of all a widget with a clock, weather forecast and realistic animation. You can watch clouds floating across your desktop, rain drops slide down your screen and even lightning striking here and there. The quality and accuracy of weather forecast are guaranteed by The Weather Channel and MSN and others. HTC Home 2 is analogous to the weather widget for HTC communicators. The program can be installed to your PC with Windows Vista or Windows 7 operation system (other operation systems are not supported, although it might work with Windows XP). You can adjust HTC Home 2 to your taste with the help of different skins. Bright or tranquil, informative or plain “ you can choose the one that suits you. It will download and install additional files. The installation is of few Kb size! This Article Has Been Shared 9563 Times! Application that allows you to restore passwords for Windows 7.Offline NT Password & Registry Editor is responsible for restoring the password of Windows 7. Hello Adman, kindly click the link of official website of HTChome given at the beginning of the post. 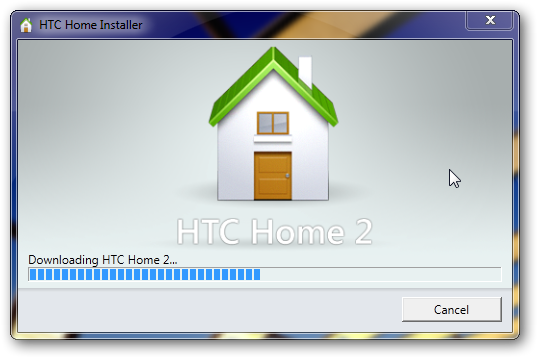 We have not given any direct download link as HTC home gets frequent update. Thank you in advance for the understanding. I do trust all of the ideas you’ve presented for your post. They’re very convincing and can certainly work. Nonetheless, the posts are very brief for newbies. Could you please prolong them a bit from subsequent time? Thanks for the post. Newer posts are bigger due to similar requests. I clicked the link and still cant find the download link. Please check the link on the second paragraph – Firstly, you can download HTC Home from their official website for free. Open the HTC home website in a new window and go the Downloads section on that website. 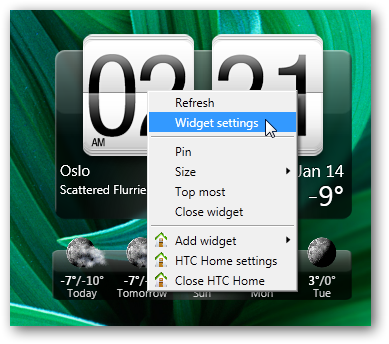 Cite this article as: Abhishek Ghosh, "HTC home: An animated desktop weather gadget for Windows 7," in The Customize Windows, January 13, 2011, April 25, 2019, https://thecustomizewindows.com/2011/01/htc-home-an-animated-desktop-weather-gadget-for-windows-7/.